It’s always nice to have a large and important international drowning prevention organisation write about one’s charity; in this case, it is the Royal Life Saving Society of the United Kingdom. We were especially pleased to tell them of our efforts to appoint Sri Lankan office bearers to start to take over the running of the Project and share this outsider’s view of the Project instead of blowing our own trumpet. The picture comes from us but the words are those of the RLSS (UK), for which we are very grateful. It is also well known that our Project has, from the very beginning, taught swimming in such a way that it directly addresses the cause of drowning. People do not drown because they cannot swim. They drown because they cannot breathe. Our battle cry since 2005 has been Float-and-Breathe, then Swim and so it is very heartening to see another famous national charity, the Royal National Lifeboat Institute, the RNLI, put out a really professional video on the internet for all to see which says exactly that. Open another Browser Window and put in this link; it will be a well spent 61 seconds ~ https://www.youtube.com/watch?v=fgASxPh-xqU. Of course, our ‘icanswimcanyou’ graduates have been able to float for ten minutes, not just a few seconds, but it is nice to know we are spot on track. ‘I Can Swim Can You’ is a powerful project targeted at the women and children of the poorer parts of Sri Lanka, set up in the aftermath of the 2004 tsunami, by Christina Fonfe. 80% of those who lost their lives were woman and children and today, 14 years on; cultural expectations over dress and behaviour, particularly in rural areas, restrict women to experiencing water, usually no higher than knee height, for washing themselves, their children and their clothing. With little or no exposure to swimming or emersion in water and bound by traditional, tight clothing, women’s agility and confidence in the water suffers. When a drowning occurs, it is likely to be a woman who cannot swim and whose mobility is so limited, she cannot even attempt to self-rescue. 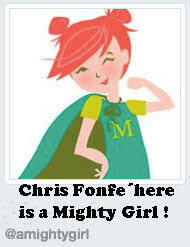 ‘I Can Swim Can You’ teaches women and girls to swim safely and with confidence in their ability. 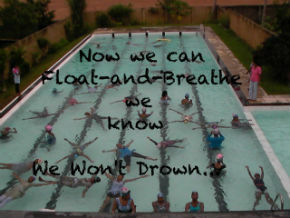 The project also works with non-swimmers in the community, teaching them initially how to float and breathe in the water, with the ultimate aim of teaching them to swim. “Float and Breathe is easy when you relax and let the water hold you up. After a few lessons, our women can swim smoothly through the water, breathing easily as they go,” says founder, Christina Fonfe. 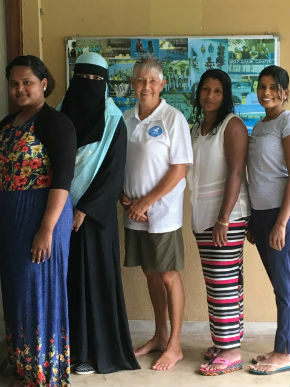 The lessons and session are completely free of charge and the project is dedicated to the long-term aim of giving Sri Lankan women and girls, the best chance of survival in the water. And the good work continues across the country as the most able swimmers in the community, are then trained to teach others. “Those women and teenage girls who can swim and demonstrate good leadership skills are trained to international standards as Community Swimming Teachers. This gives them the chance to enter the workplace and means they can contribute to making their community safer place,” explains Christina. Charity employees are not paid and all donations support the local swimming teachers directly.